A 4K screen on a phone with over 800 PPI is insane. 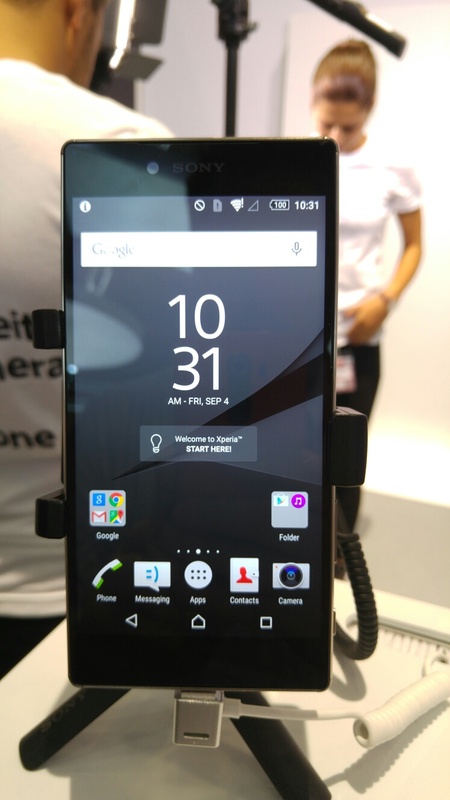 But it exists now thanks to Sony releasing a premium version of their Xperia Z5. So can you tell the screen is 4K. No. You are not going to look at it and say, wow that’s a 4K screen. However, the screen looks bloody marvellous, freaky crispy and better than my LG G4. But that’s not the whole story. Sony made the Z5 Premium as a more upmarket phone using higher quality materials. So check out my short video below and especially how mirror like the back is. In fact, its so good, I could use it as a proper mirror. If I had a choice out of the Sony or Samsung S6 Edge Plus, I would pick this Sony every time. Anyway, below is my hands on video. Enjoy. I loved my Z3 and its waterproofing. How does the Z5 handle in this area Gavin? That’s it…… I think I’ll look into getting one. The premium does look good. So much choice.